What are the challenges with Ruby logging? While the native Ruby logger simplifies logging, managing log files in a distributed setup can be challenging. It is not easy to set up a logging server that can reliably meet spikes in log volumes. Teams often lack access to advanced logging tools which can expedite and simplify searching and analysis of logs. Common Ruby on Rails loggers can slow down when searching through massive log volumes. Teams can struggle to visualize their logs for monitoring and reporting. It requires several integrations to enable charts and dashboards with a native Ruby on Rails logger. 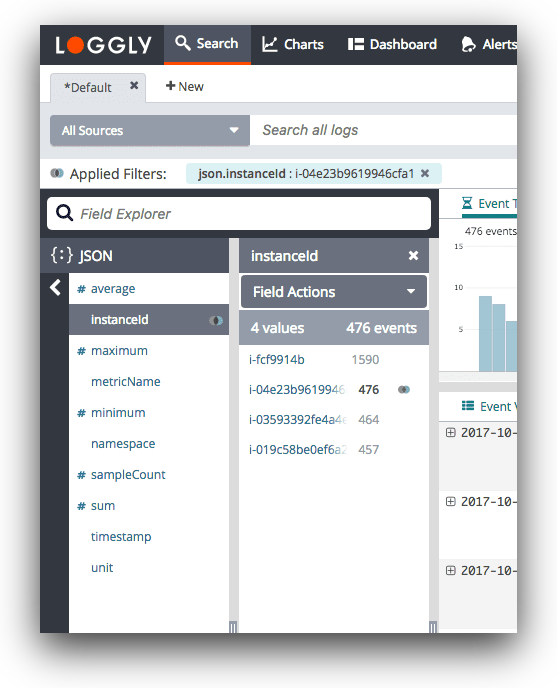 As a cloud-based log management solution, SolarWinds® Loggly® helps you manage Ruby logs along with other application and infrastructure logs from a single window. You do not need to maintain any additional hardware or install proprietary agents on your systems. The Loggly agentless architecture helps ensure that you can start logging quickly without any significant investment of time and effort in complex configurations. You can use Logglier Library to send Ruby logs to Loggly, while Rails logs could be sent over syslog. Also, Loggly automatically archives older logs on AWS S3 buckets and lets you maintain these logs for compliance or other purposes for as long as you want. The basic text logs from the Ruby logger can be enhanced using open-source logging libraries such as Lograge and Fluentd. However, as you scale your applications across many servers in a distributed environment, you will need tools like Loggly for log aggregation and to enable faster search across massive log volumes. Loggly helps in troubleshooting with automated log parsing enabled across all incoming logs. It helps ensure you get near-instant results for your search. Also, you can view the most relevant information related to your logs in a structured manner with the Loggly Dynamic Field Viewer. With the enterprise subscription of Loggly, you can also get access to the Loggly live tail feature that helps you monitor logs in near real time. It is not easy for teams to continuously monitor their environment with text logs using the native Ruby logger. They need advanced charts and dashboards for a unified view of their application and infrastructure health. Loggly offers advanced charts and dashboards for this purpose. You can share charts and dashboards with your team members and define access rules. This allows your team members to copy and modify charts without having to create new queries. Features like one-click sync and surround search let you easily monitor all associated events in a particular time frame. You can also use anomalies chart to find recurring patterns that are hard to detect with threshold-based alerting.